Got a microapartment so small you can’t fit a large closet for storage? 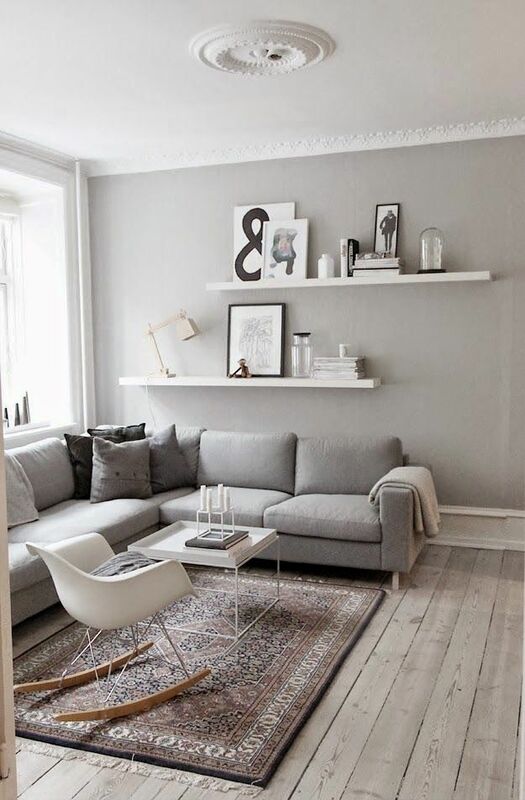 One of our favorite small apartment ideas is using shelves to sneak in more storage space! Shelves of all kind make a great sub for a full closet because they are functional and sleek. And depending on the length, they can fit tight spaces too. These shelves can be installed in the most unexpected spots in a microapartment. 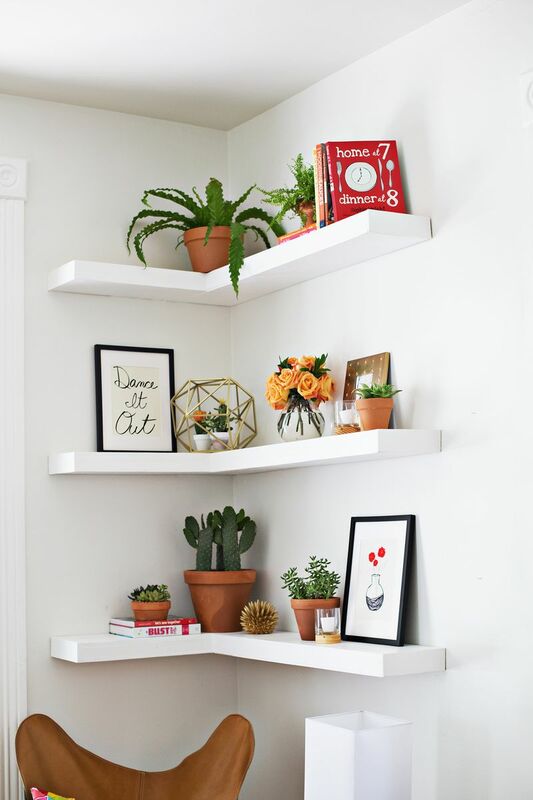 Since floating shelves are so sleek, they don’t carry much weight visually. They are a great solution for minimalist microapartments. That underutilized space near the sink is a great spot for open corner shelves. 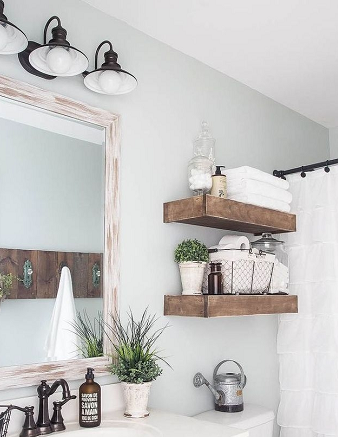 These tiny shelves can be installed on either side of the bathroom sink to make more room for your bath essentials! 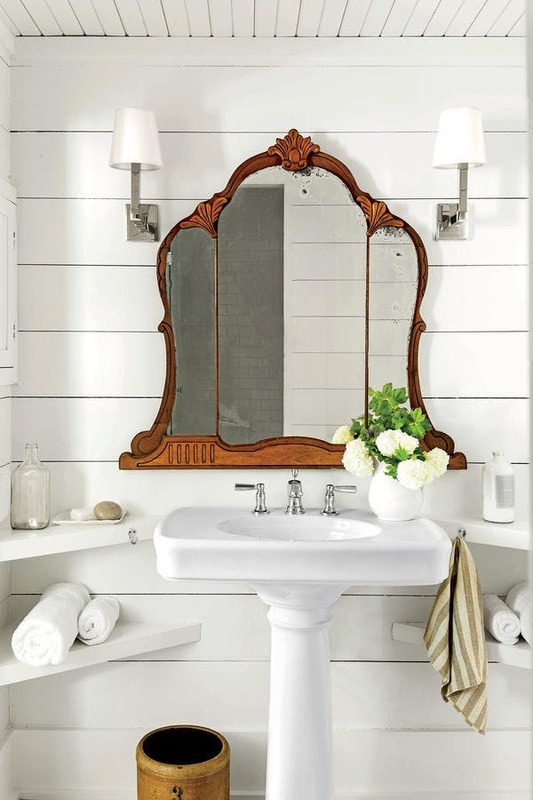 Check out this charming Tenessee bathroom, it’s so tiny yet there’s a lot of room for extra towels on the sides thanks to the shelves! 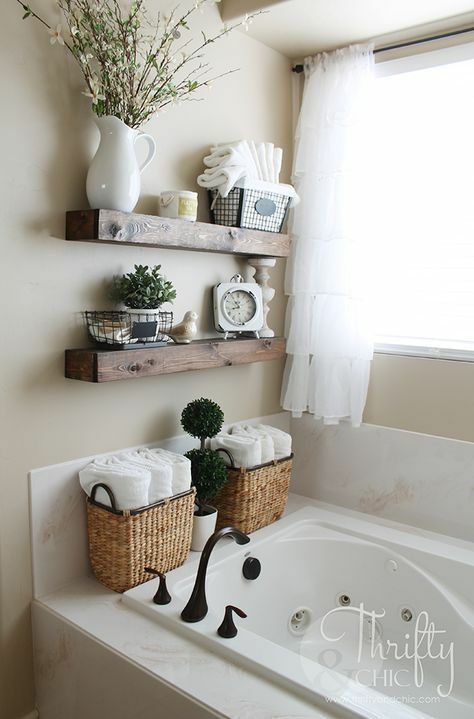 … or above the bath tub so all your bath essentials are within easy reach! 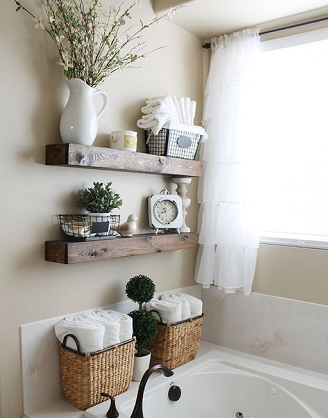 Essentially, you can make the most out of any naked wall in the bathroom by installing tiny shelves. 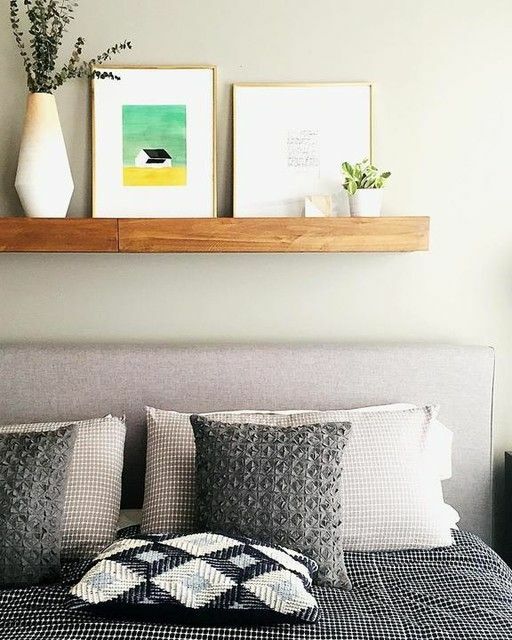 We’ve featured wall-mount shelves as a sub for a standard nightstand and it’s worth mentioning again. 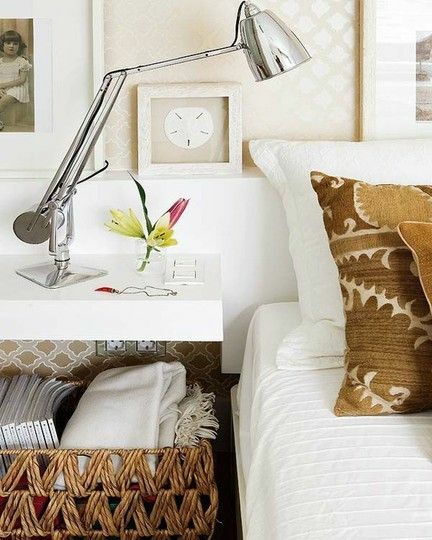 Nightstands are a bedroom staple but they take a lot of room! 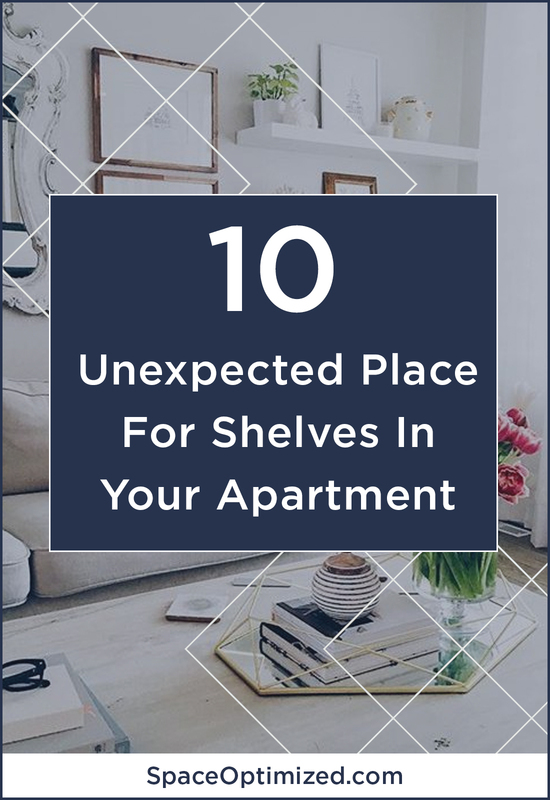 For a microapartment with limited floor space, a shelf makes a worthy alternative to a nightstand or a bookcase. It offers more room for your essentials without the bulk. These shelves come in an array of sizes and designs too. You can go for a plain shelf, a box shelf, or a closed floating shelf. 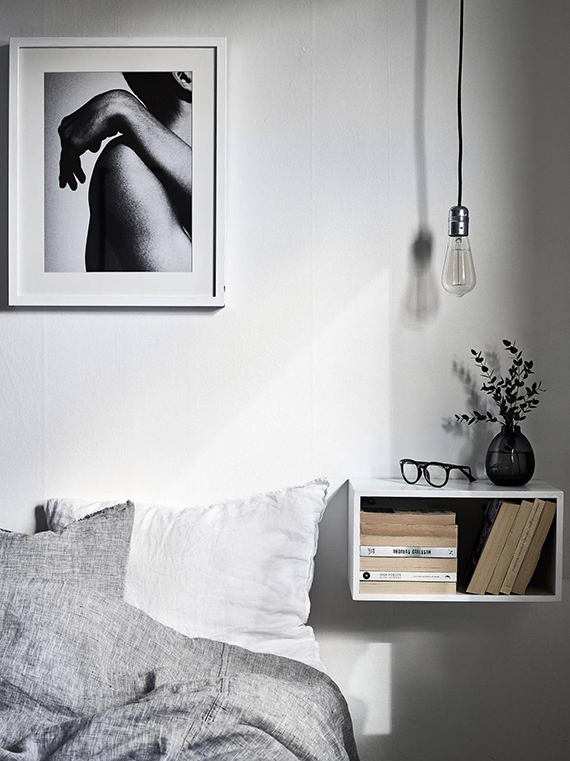 Got no room for a bedside shelf? How about installing a long shelf behind the bed? 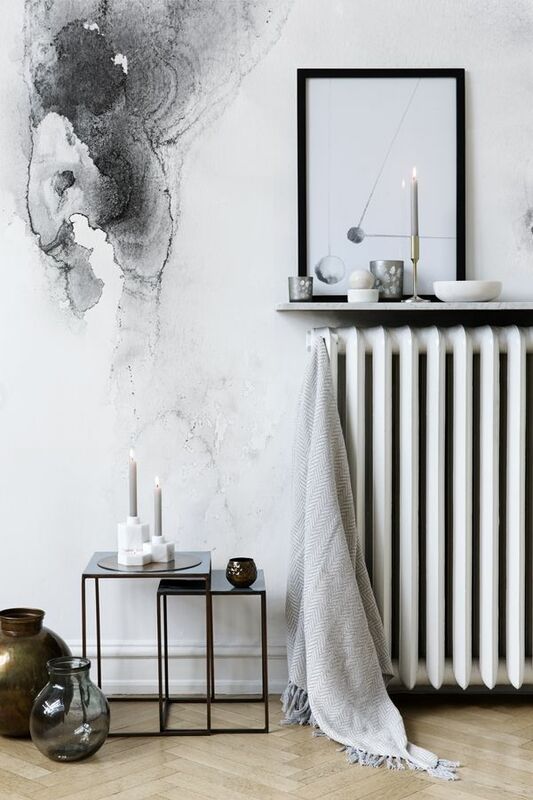 Use the extra space to display your books, artworks, or candles! 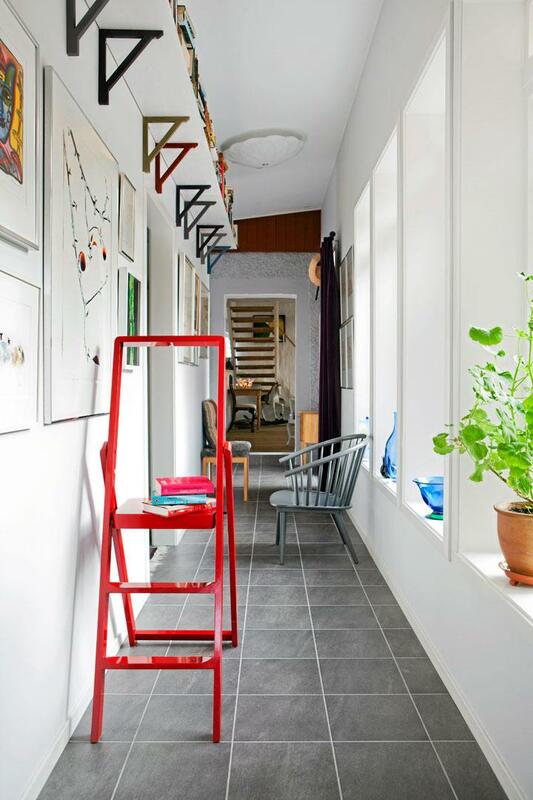 Here’s one of our favorite small apartment ideas: maximizing often-ignored spaces above the door! Install a shelf above the door (including corner doors) to score several feet of extra space for your essentials. 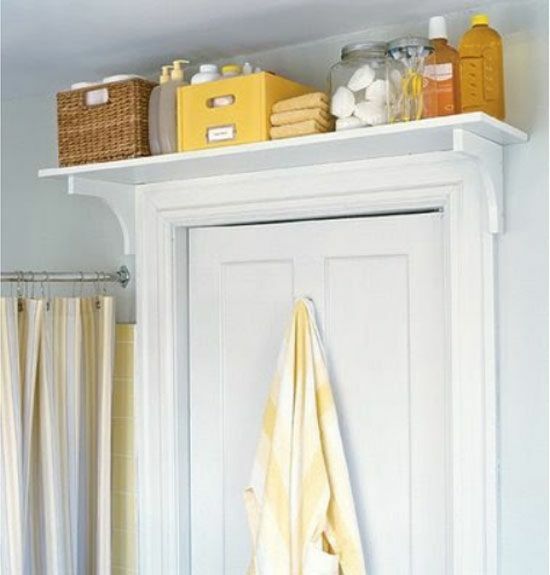 As long as the door has a little space above the frame, you can convert this spot into a storage area. The naked wall against the couch is a lovely spot for a shelf. 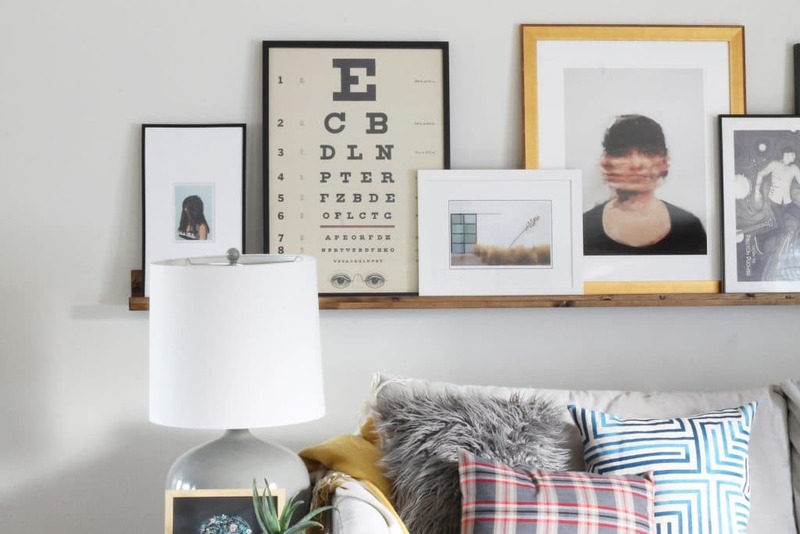 Install a high shelf over the couch and you have a new place to display your knick-knacks. A space heater is essential in most homes but let’s face it, the thing sticks out like a sore thumb. Why not embrace the look and recapture lost space with a shelf? 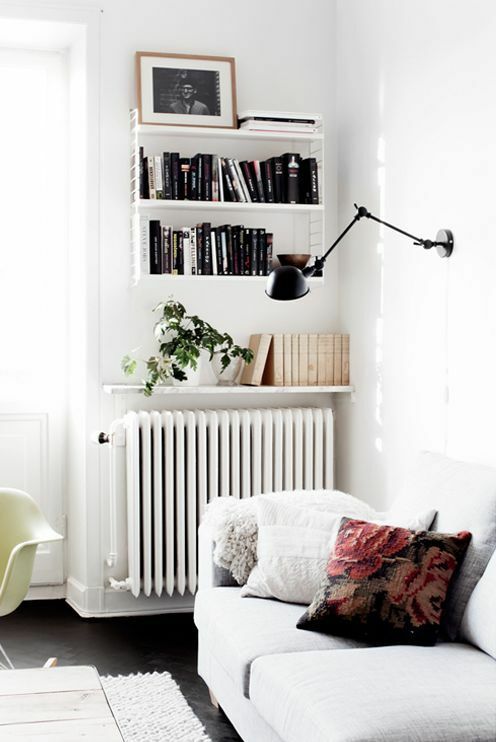 Install a small shelf above the radiator and use the added space to build your cozy little nook! 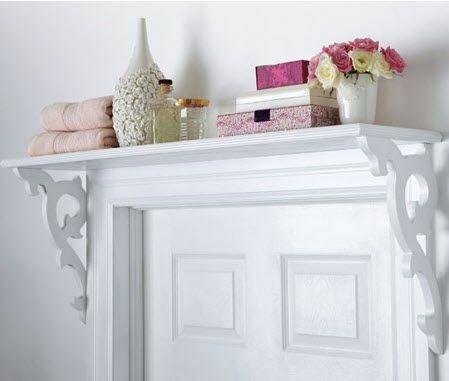 Recapture some of the space you lost on tight corners with corner shelves! These shelves are sleek and stylish, they won’t ruin the look of your space. In fact, these shelves warm up the home by turning naked, neglected spots into functional display and storage spaces. Is your kitchen area too small for your cooking essentials? Need to free up more room for your culinary adventures? Don’t let a tiny cooking space bring you down! 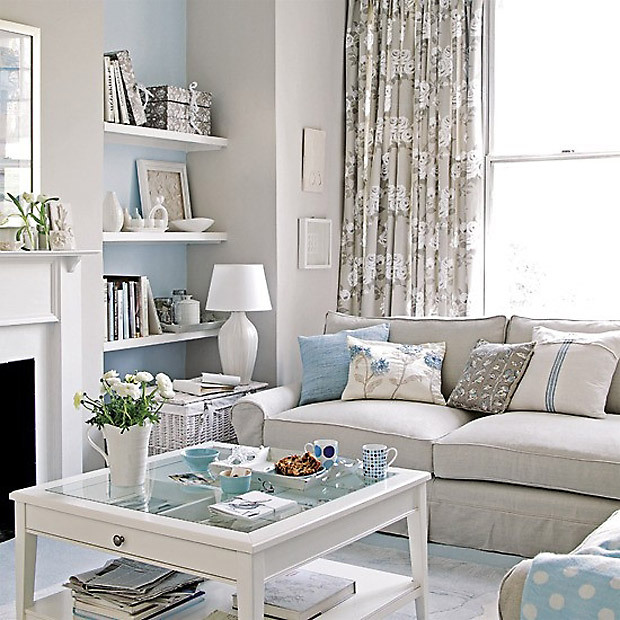 Maximize spaces above or near the windows for more storage spots. 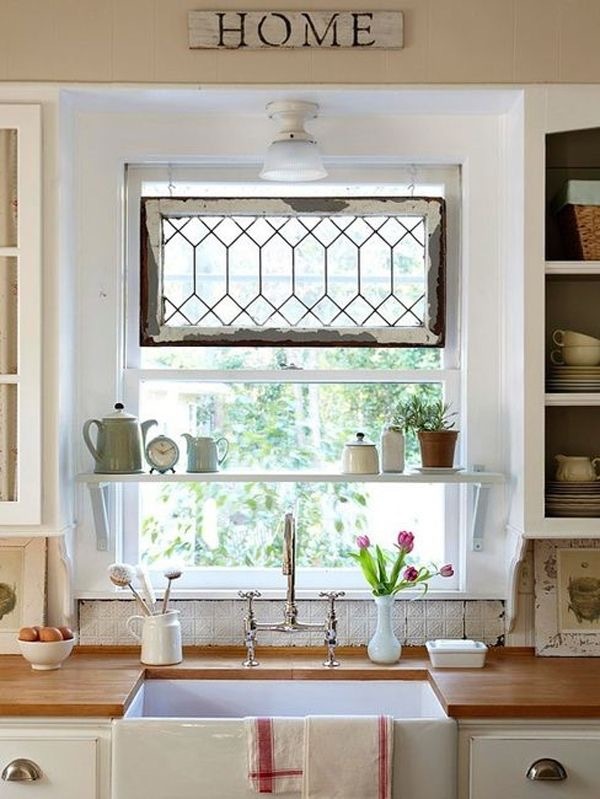 Installing shelves above the window is one way to do just that. Use the shelves to store your kitchen essentials, built a mini pantry or display your cooking supplies. 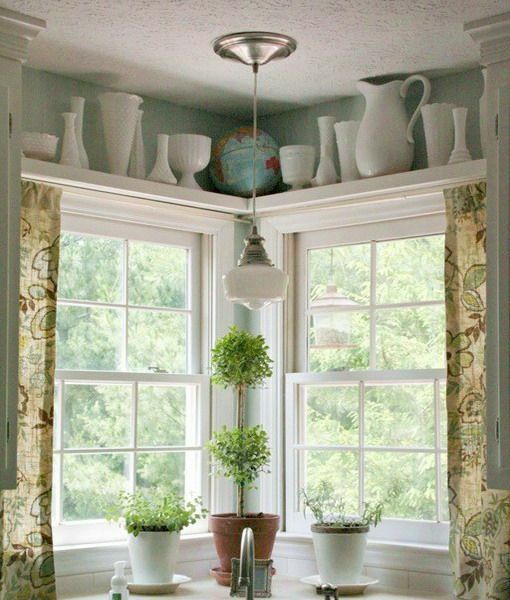 Since these spots get a lot of sunshine, you could also put your houseplants on display to brighten the kitchen. Is your living area too small for your entertainment needs? 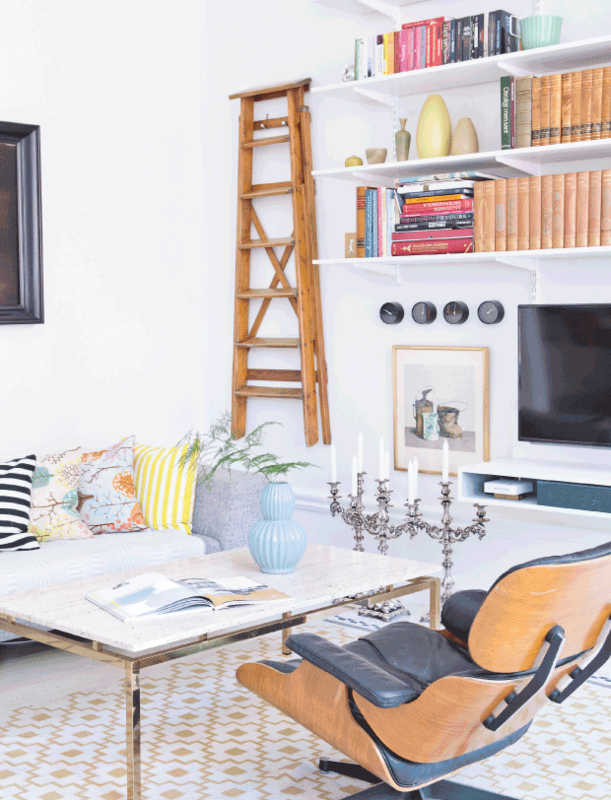 Installing several shelves on the naked wall behind the TV should give you ample storage space for your books, curios, entertainment gadgets, and other knick-knacks. 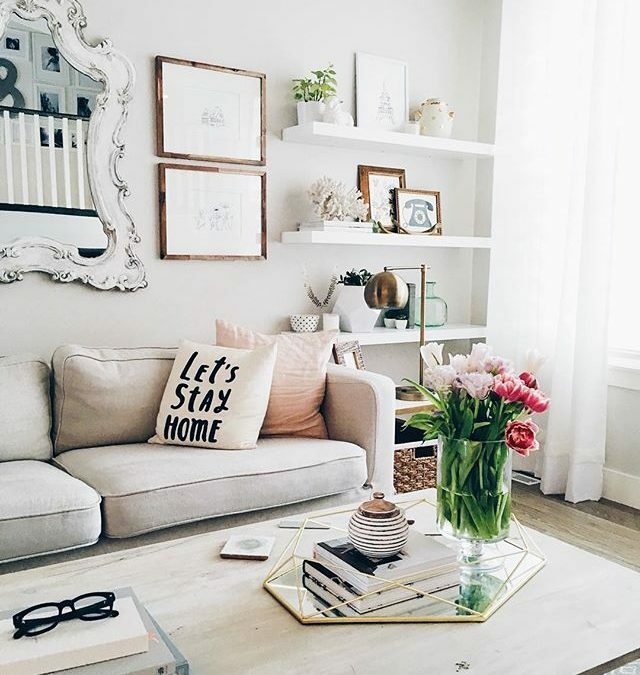 The shelves are so easy to style, you can experiment with different looks to create a unique space all your own! While you can always use store-bought shelves to maximize the space behind the TV, you can also make your own shelves using basic tools and materials. 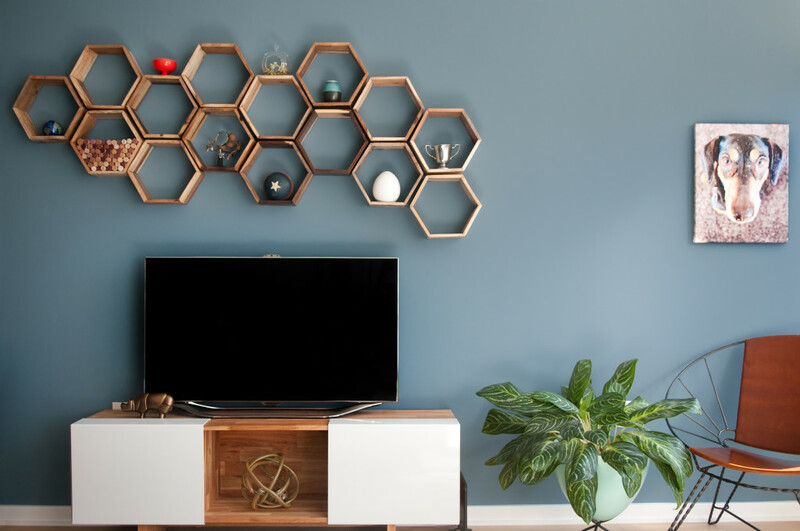 Learn to make these stylish hexagon shelves with this tutorial. Installing one (or two) shelf along the length of the hallway is a smart way to free more space for storage. Just make sure the shelves are installed at a height above the head and you’re all set! 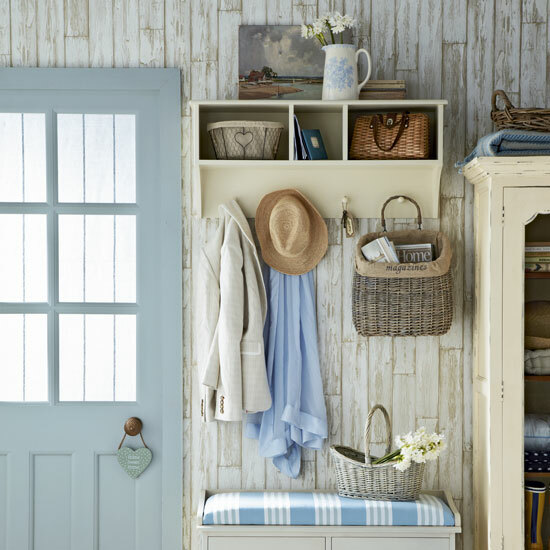 It’s easy for the mudroom to look extra chaotic, especially if you have guests over. Make this spot spick and span by adding several shelves all over the naked walls. You can go for plain floating shelves or wall-mount shelves with extra hooks to hang your clothes, bags, etc.